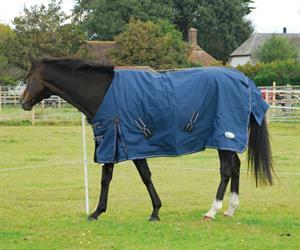 Extremely handy mid-season, this rug features a 600 denier ripstop, waterproof breathable outer. It has a mid/light 100gsm polyfill with a breathable nylon lining. Double chest straps, front shoulder gusset, cross-over surcingles, leg straps, no back seam, tailguard and strengthened surcingle guides. 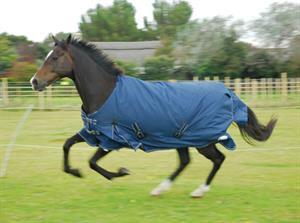 A perfect weight for unpredictable weather in slightly warmer months.